The compact-size automobile was firmly entrenched in the driveways and garages of folks in all ten provinces by the end of the 1950s. Sales of new cars throughout the Dominion in 1959 were phenomenal and 110,301 of them—a full 26.2 percent--were pint-sized European imports. In addition to the Euro cars, there was a pair of domestic players: Studebaker and American Motors. In Hamilton, Ontario, Studebaker found itself needing to hire a hundred new workers to keep up with demand for the lively Lark. At the end of the year, Studebaker’s production had nearly doubled to 7,686 units for the calendar year. 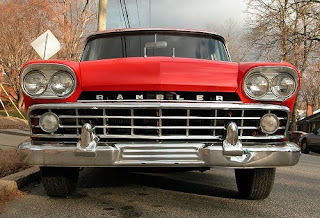 Rambler Canada was the other domestic player, of sorts. Though the unprofitable Toronto factory had closed in the summer of 1957, Ramblers were imported from Kenosha, Wisconsin. 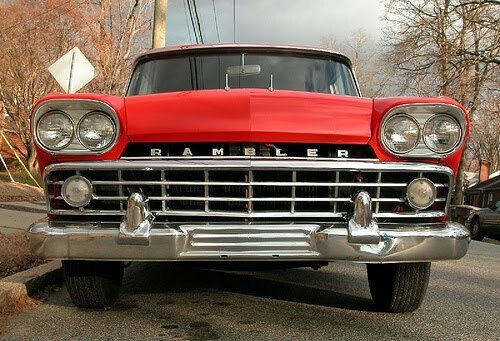 Dealers throughout the Dominion were delighted with 9,231 sales rung up by new Rambler owners and American Motors Canada Limited was poised to open a new assembly plant in Brampton, Ontario. The big winners in the 1959 Canadian compact car game were Volkswagen, Vauxhall, Rambler, Austin, Studebaker, Renault, Morris and Britain’s Fords. Big wheels were clearly in danger of being crowded off the nation’s highways and byways; small cars now accounted for one out of every three new automobiles sold. Studebaker, Rambler and the imports were about to be challenged like they had never been challenged before. The automotive playing field changed considerably for the 1960 selling season. Ford and Monarch dealers introduced a new compact car called the Ford Falcon while Lincoln-Mercury-Meteor dealers received a badge-engineered version of Falcon christened Frontenac. The new Valiant brand replaced the tired--and now retired--DeSoto marque for Chrysler Canada and GM introduced the Chevrolet Corvair. 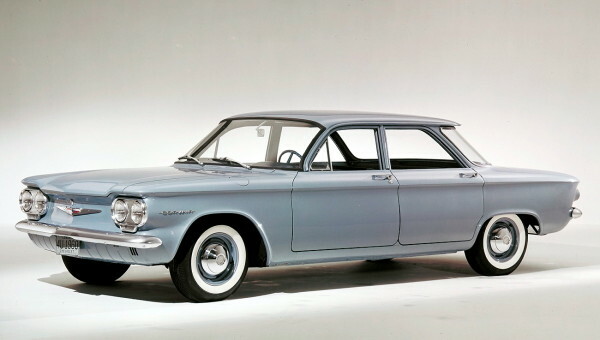 While Ford and Chrysler’s compacts were designed to compete against Rambler, engineers and stylists at Chevrolet had created Corvair in a bid to appeal to Volkswagen owners. GM Canada went so far as to build a new facility in Oshawa for Corvair production. Surprisingly, the six-cylinder, air-cooled, rear-engined product didn’t sell well. It was galling for GM officials in Oshawa to watch Volkswagen with its clearly outdated platform rise to be the Number Three best selling car in 1960 with 31,146 units sold while the technologically advanced Corvair was mired at Number Twenty with only 6,147 sets of taillights put on the road. GM executives hustled its design teams back to the drawing board for a second crack at the compact market. 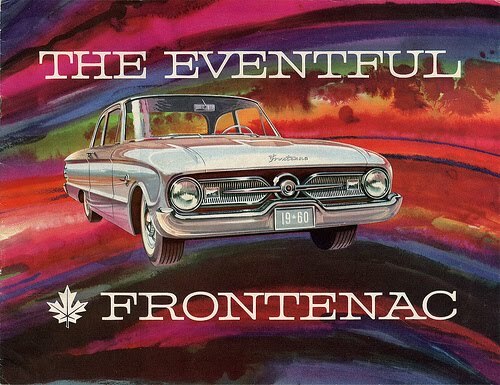 For the 1961 season, dealers offered the Pontiac Tempest, the Olds F-85, and the Buick Special. All of these small cars were shipped in from the US. The trio ranged in price from $2,577 for the Buick Special and Oldsmobile F-85 four-door sedan to $3,216 for the Pontiac Tempest four-door wagon. Sales of the imported GM products were dismal because of the high import duties levied by Ottawa. It made no sense to continue import vehicles that didn’t sell. The boys in Oshawa put their heads together and came up with a simple, homemade solution. When the more conventional Chevrolet Chevy II debuted in the fall of 1961, they would badge-engineer a model that Canadians would like and could afford. From the Chevy II came the Acadian. It arrived shortly after the Chevy II made its debut. Acadians sparkled on the showroom floors of Pontiac-Buick dealers along with a relatively new captive UK import--also badge-engineered for Canadians only, the Envoy--wrought from Vauxhall. 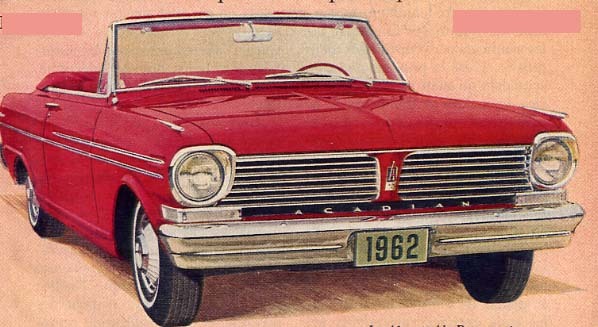 The 1962 Acadian was not a model of Pontiac; GM registered it as a brand in its own right. The name reached back some 400 years, drawn from the proud history and heritage of rugged Francophone pioneers who settled and thrived along the unforgiving Atlantic coast. 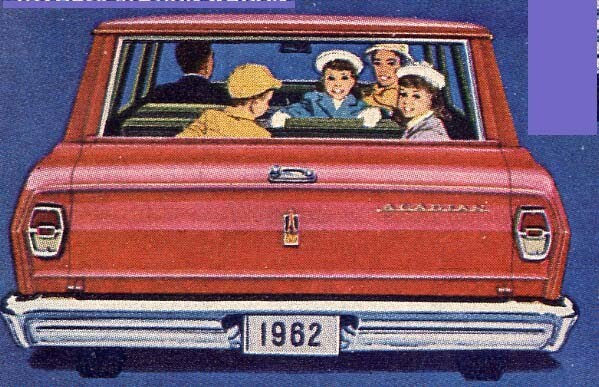 Advertising emphasized the GM Acadian as a real family car that promised family budget economy with a miserly 90-horsepower four-cylinder mill. For an extra $70 one could order the zippier 120-horsepower six-cylinder version of the Econo-Flame engine. 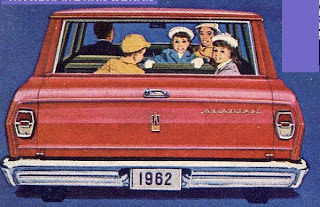 Acadian boasted clean, uncluttered styling with a classic flair and ad copy swore that the pert, practical and perfectly sized car would easily hold six husky adults and their luggage. Advertising and salesmen urged consumers to spoil themselves by dressing up their Acadians with the extra cost Powerglide transmission, power steering and power brakes. Eight models were generously spread over two series. A trio of economical Acadian Invaders offered value and five top-of-the-line Acadian Beaumonts added glitz and glamour to the mix. The price range for the line ran from $2,383 for the modestly dressed two-door, four-cylinder Invader and topped out at $2,935 for the snazziest of the Acadian Beaumont models. Acadian was the right-sized car for many Canadians. The Dominion Bureau of Statistics counted noses in 1961. The numerical snapshot showed that of the 18,238,000 of Canadians, 69.7 percent of us lived and worked in urban centres. The Acadian might be a compromise, but it was a most honourable one, fitting right into the largely urban and suburban lifestyle. Acadian was not the only headline grabber in the fall of 1961. Folks warmed up their Electrohomes and Northern Electrics to watch programmes on CTV, the new private television network. The Saskatchewan legislature passed universal Medicare bill late in the year, prompting the province’s 750 doctors to go on strike in July of 1962 when the bill became law. The federal Ministry of Health ordered thalidomide withdrawn from the market because there was evidence it caused birth defects. Pregnant women were warned to stop taking the drugs Enovid and Orthonovum. Prime Minister John Diefenbaker called an election for June of 1962. His Tories took only 116 seats but formed a minority government with the cooperation of 30 Social Credit MPs. The $1 billion Trans-Canada Highway opened officially on June 30, though nearly half of the 7,770-kilometre road was still gravel surfaced. The new Number One highway would get plenty of traffic from St. John’s to Victoria as folks explored the splendours of Canada. Many of those discovering the Dominion would be driving that asphalt ribbon in shiny, new Acadians. In 1962 the term “global village” was coined by University of Toronto professor and communications theorist, Marshall McLuhan, in his book The Gutenberg Galaxy. Thrifty and economical compacts like the Acadian helped to make that global village a very real thing. The Chevrolet Corvair muddled along with 7,505 units produced during the 1962 model year. Records show that 662 of the imported Oldsmobile F-85s were registered during the calendar year, along with 885 Buick Specials and 163 Pontiac Tempests. The American-sourced impacts now started in price at more than $3,000. They weren’t really needed any more; Acadian was a huge hit with consumers despite what Track & Traffic might think of cloning. Sales of the Canada-only compact were hot, running neck-and-neck with the Chevy II. Model year production for 1962 showed Acadian finishing with 13,010 units built and Chevy II finished out the model year with 15,876 units produced.